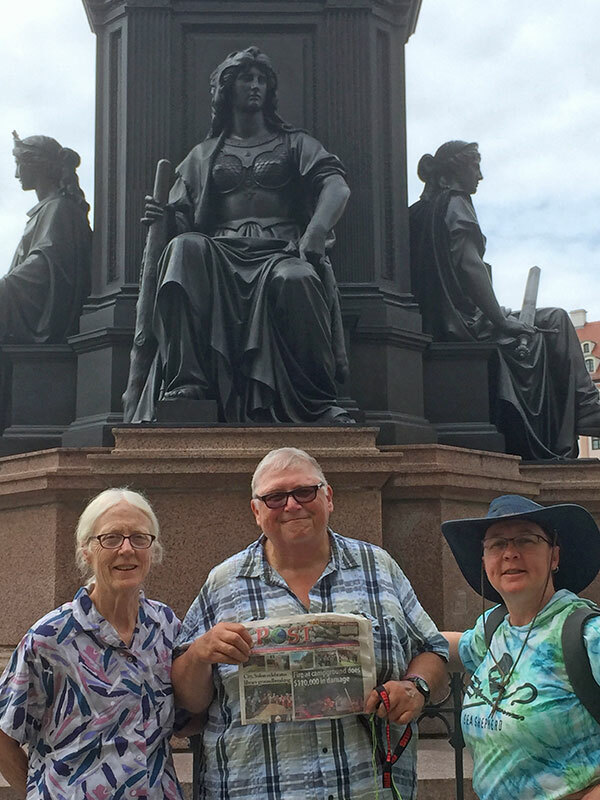 Tag Archive | "Town Square"
The Post recently traveled to Dresden, Germany, with Kim Gillow and Mary Balon, of Solon Township, and their friend Harry Eastwood, of Australia. They spent two weeks travelling through Poland, Germany, and Austria visiting important WWII sites, including concentration camps, the Nuremburg courthouse and Hitler’s Eagle’s Nest. This picture was taken half way through the trip in the town square in Dresden. Thanks for taking us to Germany with you! 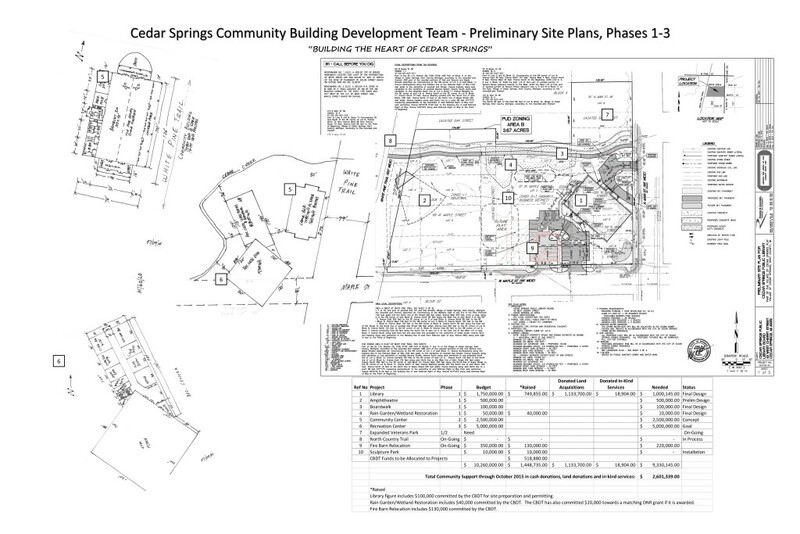 This drawing shows the site plan for the “Heart of Cedar Springs” and how much money has been raised. See it in more detail by clicking this picture to enlarge. 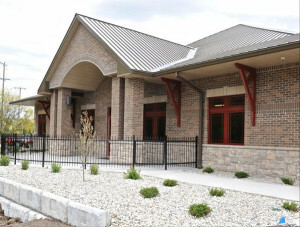 Over two dozen organizations and businesses in Cedar Springs, along with dozens of individuals, have been working together for the past three years to develop eight acres of land, within the City limits, into “The Heart of Cedar Springs.” This place can be called our own “Town Square,” where the local citizens and visitors can enjoy a new library building, a community building, a recreation center, and an amphitheater, all placed among beautiful rain gardens and sculptures along a board walk on the banks of Cedar Creek. The team overseeing these projects was organized three years ago when the representatives of the businesses, public and private organizations, Library Board members, City and School officials, and many community members started meeting regularly to discuss the future needs of Cedar Springs. They named themselves the Community Building Development Team (CBDT) and by the middle of 2013, it was clear that this group’s vision could be fulfilled under the right leadership and structure. The group chose Kurt Mabie, a retired school administrator, as their leader. They applied for and obtained 501 (c) 3 status, appointed eight more directors, and have met monthly ever since. 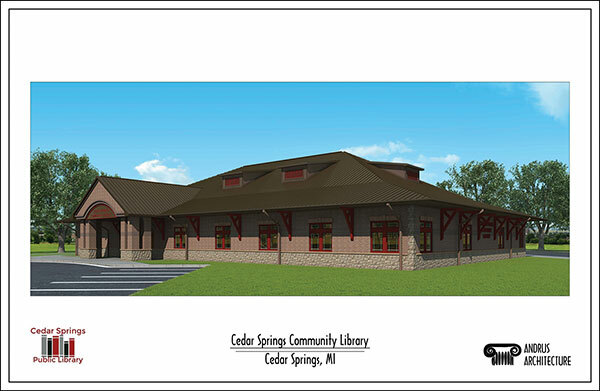 The Cedar Springs Library building is scheduled to be built first, breaking ground early next spring. 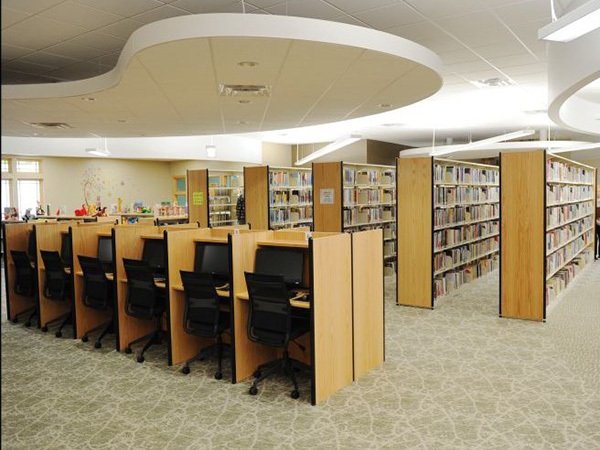 A few years ago the Library Board employed the Breton Group, a professional consulting team in Grand Rapids, to do a feasibility study regarding the need for a new Library. 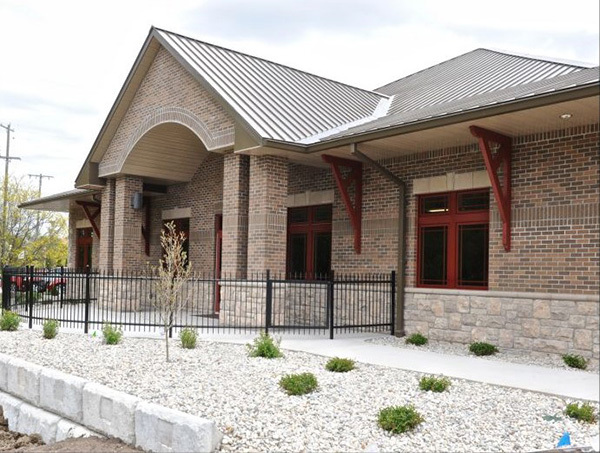 Over the past three years, Library Board members have implemented the recommendations in that study and are working together with the CBDT to move as quickly as possible to begin the building project. 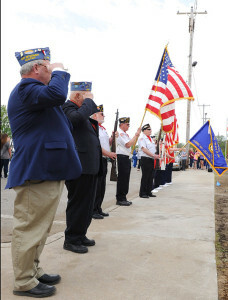 Two men, very influential to Cedar Springs, will be honored at this site. President Gerald R. Ford visited Cedar Springs annually for many years as a Congressman and later as Vice President Designate. The day following his appointment by President Richard Nixon as his Vice President, Gerald Ford held his first press conference at the Jordan College Chapel, now owned by Creative Technologies Academy. The second person to be honored is Fred Meijer. Fred’s father, Heinrik, opened his second Meijer Grocery Store in Cedar Springs and Fred became the manager. 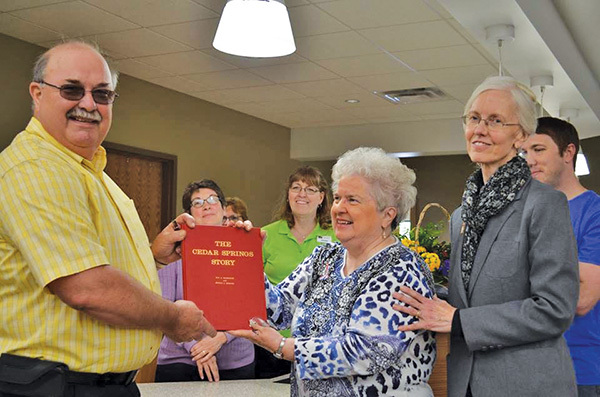 He also became a charter member of the Cedar Springs Rotary on April 6, 1942. Thanks to Fred’s support of recreational trails, the White Pine Trail was paved from Russell Road through Cedar Springs and on to Sand Lake. 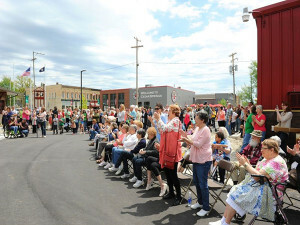 Fred attended a dedication of the Trail that took place in Cedar Springs a few years ago. 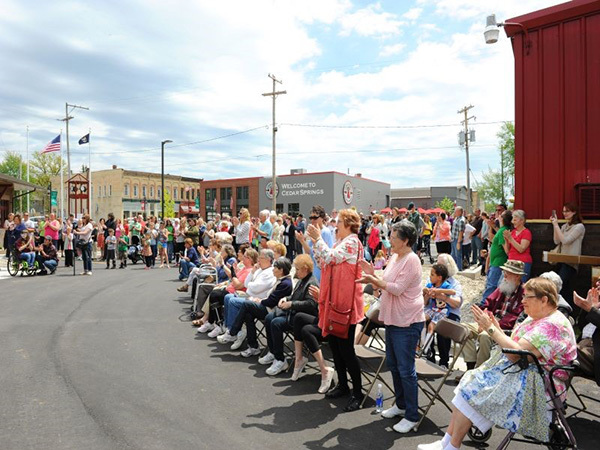 A Capital Campaign Committee was appointed by the CBDT and they are in the process of writing grant proposals to large corporations and foundations to raise the funds needed to complete these projects. Other committees have also been appointed and are serving to meet other goals. Thousands of hours have been donated by professionals and by our local citizens who are now looking to you to make this vision a reality for you, those who have gone before and for your children. 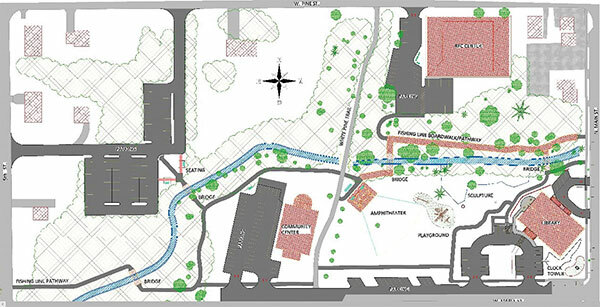 We invite you to participate in building the foundation of the “Heart of Cedar Springs” by purchasing a plaque to be imbedded into a concrete block that will form a retaining wall between the Creek and the new library building. There will be approximately 30-40 of these 18”x47” limestone-like blocks. The cost of each plaque is $1,000. Other opportunities for engraved recognition at the $100 level, such as a “wall of fame,” will soon be available. 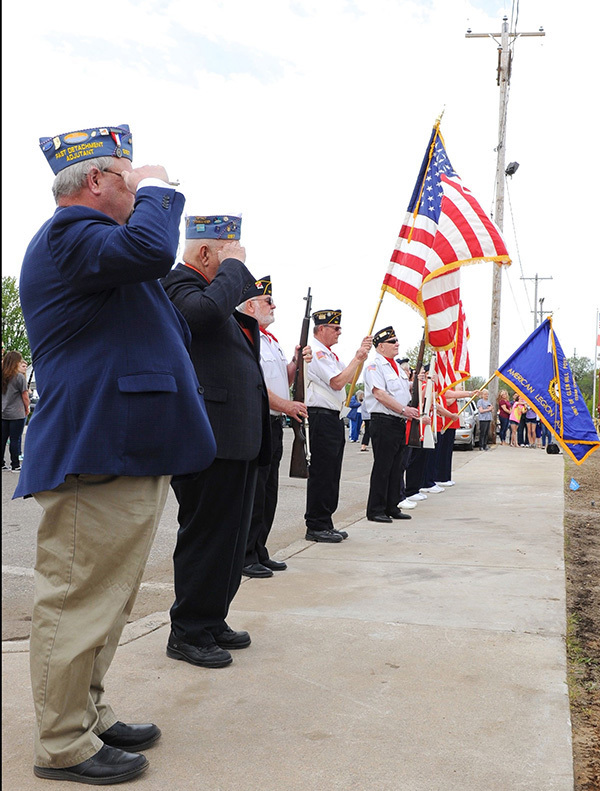 You could choose to memorialize a loved one or honor a current family member or members and you would be very welcome to donate enough to cover multiple plaques of recognition. Besides the above options, donations of any size will be greatly appreciated. You will receive a tax receipt for your gift. 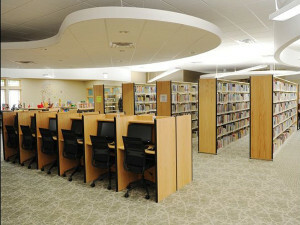 Checks can be written to the Cedar Springs Public Library and either sent to Box 280 or dropped off at the Library. 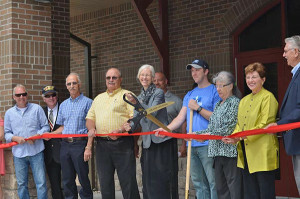 They can also be written to the Community Building Development Team and sent to the treasurer of the CBDT, Betty Truesdale, 141 S Main Street, Cedar Springs, MI 49319. Thank you all for your support.